WP Engine vs. DreamHost Comparison (2019) - 1 Clear Winner! Home » Hosting Reviews » Hosting Comparisons » WP Engine vs. DreamHost Comparison (2019) – 1 Clear Winner! WP Engine vs. DreamHost Comparison (2019) – 1 Clear Winner! Want to compare WP Engine and DreamHost? WP Engine and DreamHost are 2 of the most popular web hosting providers out there. In our UNBIASED comparison between DreamHost vs. WP Engine, we’ll help you figure out the best choice for your budget and needs. WP Engine is one of the popular WordPress-centric managed hosting providers on the market. They boast an impressive customer list including Yelp, Asana, National Geographic, PBS, and MyFitnessPal. Aside from WordPress hosting, you’ll also get premium access to 35+ StudioPress themes for free. They also equip you with a suite of performance and integration solutions to build and grow your business. 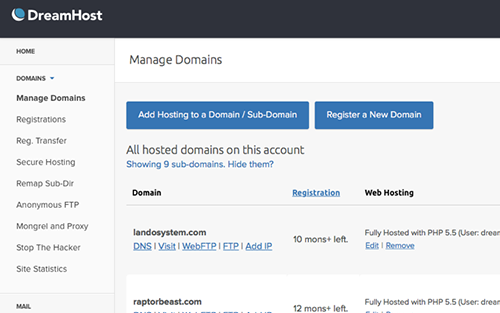 DreamHost, on the other hand, is one of the veterans in cheap hosting vertical. It was founded back in 1996, even before the advent of Google. They now serve over 1.5 million websites, blogs, and applications with over 400k happy customers. They offer a wide variety of hosting options, including shared, WordPress, managed WordPress, WooCommerce hosting, etc. Best of all, they provide an industry-leading 97-day money back guarantee. As a managed WordPress hosting provider, WP Engine delivers enterprise-level WordPress performance for your site. DreamHost guarantees 100% uptime to their users. To test whether these hosting providers live up to the promises, we decided to conduct a few different page speed and uptime tests on WP Engine and DreamHost. Below are a few speed testing tools we used. According to Pingdom speed test, our WP Engine test site only took 582ms to load, which is faster than 96% of all tested sites. Our DreamHost test site loaded in 445 ms. which is faster than 97% of all tested sites. After the Pingdom test, we analyzed whether the hosting servers could survive a traffic surge with a tool called Load Impact. We sent some virtual users to our sites and gradually built up to 100 visitors at a time to see how the servers would perform. From our test, you can see that the number of live visitors doesn’t have any negative impact on WP Engine site. Similarly, our DreamHost site remained stable during the traffic surge test. The number of live visitors didn’t have any impact on the response time. Then we conducted a test with Bitcatcha to record how our hosting servers respond from 8 different geographical locations around the world. According to our Bitcatcha test, our WP Engine site was graded A, whereas our DreamHost site was graded A+. DreamHost comes with a web-based control panel, which is developed in-house. They don’t offer cPanel for managing their hosting account, which is the most popular control panel on the market. While their control panel is intuitive, there’s a bit of learning curve to tackle if you’re accustomed to using cPanel. WP Engine handles all the technicalities of optimizing your server for improved performance. 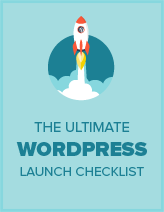 You get a fine-tuned hosting setup that’s built specifically to operate WordPress sites. Most importantly, they don’t allow you to install any performance plugins, like caching plugins and security plugins because they can conflict their in-built features. WP Engine is an enterprise-level hosting platform that makes publishing with WordPress super easy. They offer all features that help streamline code deployment and site migration. They also partnered with Amazon Web Services and Google Cloud Platform to deliver blazing fast load times. 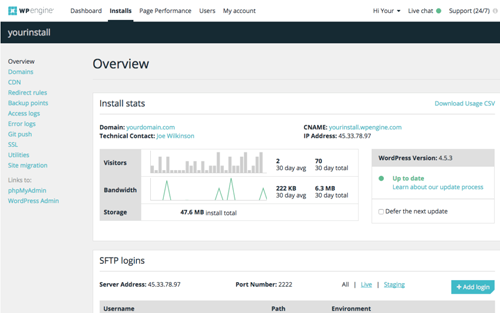 Let’s take a look at a few unique features of WP Engine’s managed WordPress hosting platform. Access to 35+ premium StudioPress themes without extra cost. One-click tool to simplify staging, testing, and deployment. Seamless integration with your favorite online apps. Get actionable insights powered by Google Analytics right within your WordPress admin about WordPress performance, content and, applications. Compared to WP Engine, DreamHost is an entry-level hosting provider for a broader customer base. Their hosting features are appealing to their user base, which includes unlimited bandwidth, free domain name, website builder, one-click WordPress installer, etc. With all hosting plans, WP Engine provides 24/7 support via live chat. With higher plans, you can avail phone support and with the Custom plan, you’ll get 24/7 ticket support. Their robust knowledge base explains every aspect of building a site with WP Engine. Even though DreamHost often advertise 24/7 support, the reality is that they only 24/ support via email tickets. However, it takes almost a day to get your support request resolved via email. Live chat support is available only during 5am – 10pm PST, 7 days a week. Although call back requests are available, you’re required to make a one-off payment or subscribe to a monthly plan. WP Engine is primarily geared towards specific user segments, such as developers, marketers, SMBs, agencies, and enterprises. They offer competitive pricing when compared to popular managed WordPress hosting providers, like Pagely. Since DreamHost is targeted at entry-level users, they wanted to keep the pricing affordable to them. The introductory price for DreamHost shared WordPress hosting starts at as low as $2.59 per month. Their managed WordPress hosting price starts at $16.95 per month. On the other hand, WP Engine’s pricing starts at $28. That’s 20% off the regular price for IsItWP readers. After our comparison, we believe that WP Engine is a better WordPress hosting provider than DreamHost. While DreamHost also offers a managed WordPress hosting service, they’re geared towards beginner-level users. If you’re serious about your online business and don’t mind spending a few more bucks on getting a superior hosting platform, then WP Engine is the best bet. Best of all, WP Engine comes with suites of performance and intelligence that help you quickly deploy changes on your live site and streamline your website growth. We hope this article helped you find the best managed WordPress hosting service. If you liked this article, check out our WP Engine review and DreamHost review.